Evil Moon A novel of werewolf horror and supernatural fear. A Nebraska State Patrol officer is assigned to track down an elusive, murderous wild animal, only to discover it is a werewolf that has attacked and infected his own daughter with it's curse. Davis Veoh will do what he must to save Kenna's life and soul at all costs. His quest leads him into the lofty peaks of the Colorado Rocky Mountains. There, he and others become embroiled in a climatic battle on the Mt. Manitou Incline cable cars against a werewolf horde bent on the destruction of all humankind. Growing up in the mid-west, there was not a lot to do. So I went to a lot of movies. I was in my pre-teen years in the 1950's is when the famous Universal Monsters were all the rage. I went to see The Wolfman, and was hooked. After that, I saw every horror, Sci-Fi, and scary film to come to town. 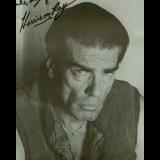 I became interested in acting, special effects, and writing at young age. Evil Moon is the first of what I intend to be a long string of novels. From the start, the writing style impressed me. The opening scene grabbed me, and kept my interest from that point on. Great dialog! I'm a big fan of dialog - in my opinion, dialog can make or break a story. The scenery was well described - I could easily envision what the characters were doing, the world around them, etc. I would recommend this book to anyone interested in werewolves, thrillers, suspense, crime dramas, or to anyone just looking for a good read. I find it hard to believe that this is Mr. Rays first novel! This man can write. This book is over five hundred pages of suspense, terror and hairy things that go bump in the night (oh...when the moon is out!). Will not go into the story however will tell you that if you like modern Werewolf tales you will love this book! Cannot wait for Mr. Ray to write his next novel! Called to the scene of a third teenage girl attacked in Hoffman Nebraska in less than a week, Davis Veoh approached the area with caution presuming the perpetrator to still be near by. Though a veteran officer, Veoh found himself taken aback by the blood and gore he found, the girl's throat and face mauled as if by an animal. By some miracle, she was still alive, her breathing labored. After paramedics arrived and worked to stabilize her, Veoh and his partner Roscoe searched the area. What Veoh wasn't prepared for was what he later learned. This latest victim was not just another town person attacked, but his very own daughter. Somehow, someway, she survives and against all odds stuns medical science by recovering faster than anyone would expect through some type of infection altering her DNA. Though happy his daughter has survived, Veoh soon learns that her fate may be worse than death as the local killings multiply and rumors spread about whether some type were beast may be responsible for such grotesque murders. In order to save his daughter, Veoh must be open to the supernatural and hunt what cannot be killed. In Evil Moon, Harrison Ray weaves a complex web of intertwined lives in a small Nebraska town. Told from varied perspectives, we learn about the politician wannabe who has searched his whole life to find meaning and relevance, the single divorced mother who has given everything for her child leaving nothing for herself, the single patrolman who will stop at nothing to save his daughter, the gang member searching for belonging, and the undercover FBI agent who must live a lie in order to serve the greater good even if it means estrangement from his family and friends. Soon an evil infects all of their lives - some choose to embrace it for their own gain while others fight it to save their families. I enjoyed Ray's first novel, especially the first 2/3rds of the book which is steeped in character development. The latter part of the novel turns to non-stop action in the Colorado mountains in a race against time that Veoh must win or lose his daughter forever. There are a few story arcs left open (perhaps for a future offering) and perhaps the suspension of disbelief is really pressed near the end, but overall Evil Moon is a good fun read. Normally, I an not in the habit of posting reviws, nor am I an avid reader of mythological, paranormal horror or supernatural fear based novels. 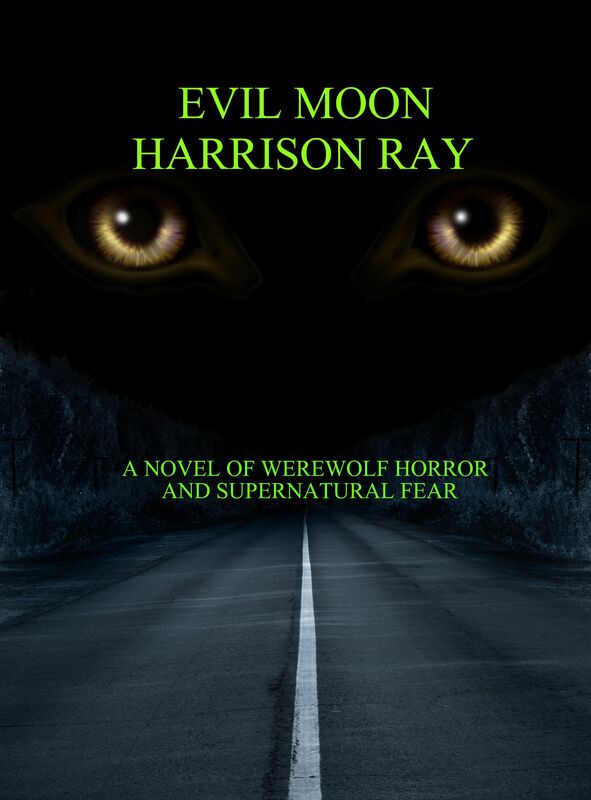 However, I must admit that I found this new novel "EVIL MOON" written by Harrison Ray, quite, simply riveting! The author has managed to create a story which draws the reader into the plot immedietely and holds your attention from the first page to the very last. The unique and realistic cast of characters bring the story to life with crisp diologue and extremely interesting twist and turns. The pages are packed with vivid description of gruesome attacks, rapid transformations from man into beast, mystery, adventure, action, suspense and even a touch of romance all woven together to create a must read novel for any fan of werewolf, supernatural horror or thriller books. I highly recommend EVIL MOON to only adult readers as the storyline, language and visual discriptions may be rather intense for youthful readers. 4.0 out of 5.0 Stars. Interesting plot, certainly better werewolf portrayal than recent attempts. Well written with intense moments that should hold readers to the book.